A sticker tour of Lightning McQueen’s sizzling Grand Prix adventure! Fill in the fast-and-furious scenes to keep the cars on track! McQueen and Mater are locked into a fight to the finish when they set off overseas to complete in the World Grand Prix. The road is filled with potholes, and things get even bumpier when Mater is caught up in a spying mission! 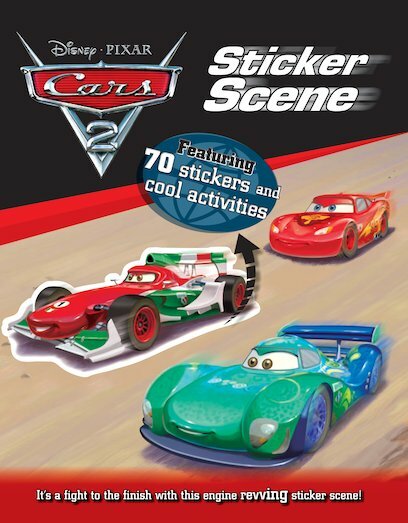 Soon Mater’s action-packed journey leads him on an explosive chase through the streets of Japan and Europe… Read the story and help the cars be first to the finish line as you complete cool puzzles and awesome sticker scenes! Includes 70 stickers.